Over the years WiFi extenders, WiFi boosters or WiFi range extender were replaced by expensive alternatives such as the mesh Wi-Fi setups. However, there are much cheaper alternatives available. You can quickly increase the coverage area with the help of Wi-Fi extenders. We all know the troubles we have to go through to get the right amount of signals to play our social media videos, and when we try to test the limits, we are left disappointed. You face issues with the network’s range whether you have a separate wireless router or wireless modem. These issues occur for a couple of reasons, either there’s an obstruction such as walls or furniture that is blocking the signals or the range simply isn’t enough. The easiest and cheapest way of resolving this issue is by installing Wi-Fi extenders. These Wi-Fi signal booster devices connect to your originating base and provide signals to the rest of the devices within range. When you are out shopping Wi-Fi extenders, there is a lot that you need to consider. We have compiled a top ten list of best Wi-Fi boosters/Wi-Fi extenders that you can use for an unlimited amount of Wi-Fi signal range. 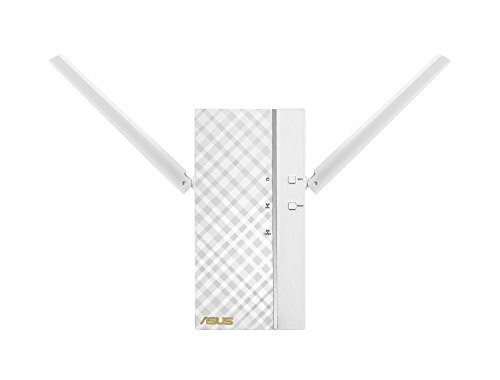 Asus was smart to introduce the 4×4 quad-antenna into RP-AC68U Repeater as it provides incredible speed and works as a bridge between the receiving device and access point. RP-AC68U is easy to set up with a phenomenal software and great design. The 2.4GHz ExpressWay wireless performance is good however the bridge mode gives an extreme performance with a powerful range. If you need the best results, then you have to pair the device with a standalone router. The 5GHz isn’t as good as 2.4GHz. Not knowing much about Wi-Fi extenders can work for you especially if you are looking to cover a large area. You might be tricked into purchasing something that might not even fulfill your requirements. ASUS RP-AC68U Repeater is standalone that sits in a vertical position and connects up to 5 PCs with the help of Ethernet port. This quad-antenna is designed to match with the routers with high bandwidth. ASUS RP-AC68U Repeater’s design is quite impressive; the grey smooth, velvety plastic covers almost the entire front. However, the red line crossing the middle is mesmerizing to look at. This middle section illuminates with a bright red light when the device turns on. If you aren’t that fond of this bright red light, you can quickly turn it off. None of the four antennas are visible, in fact, they are all internally located. You also get a USB3 port, as you would on any router, for sharing purposes. Although ASUS RP-AC68U Repeater is equipped with the four quad-antenna, you still don’t get the standard performance speed, i.e., 1733Mbits/sec. Over 802.11ac, in fact, you only get 1300 Mbit/sec. Asus, in its response, says that the device receives with four of its antenna and transmits through 3 of them. You can operate ASUS RP-AC68U Repeater in a couple of ways, mainly ExpressWay and a wireless media bridge. In the latter, your base router and ASUS RP-AC68U Repeater are directly connected with the help of a wireless connection. However, using this mode, the device operates in the half-duplex mode. Meaning, all devices connected will share bandwidth automatically reducing the performance speed. On the other hand, dedicates a full speed connection of 5GHz/2.4GHz through its wireless channel. Nearby devices can use the second wireless channel for operating. In both of these modes, a unique SSID is created for the connected devices. Another cool feature is that you can use it as an AP (access point) with an Ethernet cable for an extended wireless network. The alternative way of extending the system is by using the mirroring settings. With an overall rating of 8.5 stars, we would give this one a go ahead. NETGEAR EX3700 Wi-Fi Range Extender allows you to increase the current speed and range of your network. It can deliver a speed up to 750Mbps with external antennas. 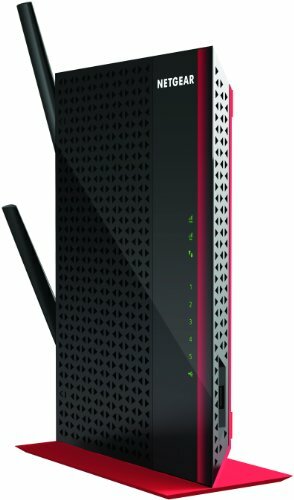 It is super lightweight, doesn’t take a lot of space in your room and connects to all standard routers. Setting up the device is comfortable making it ideal for mobile phones and gaming consoles. The only downside to NETGEAR EX3700 Wi-Fi Range Extender is that it only has 1 Ethernet port for wired devices whereas other Wi-Fi range extenders have up to 5 of these ports. The traditional socket wall Wi-Fi range extender seems like an essential edition as a Wi-Fi booster. It gives excellent speed and coverage while delivering a Wi-Fi speed of at least 750Mbps. The external antennas may look outdated, but they make it easier for the signals to range further and provide better speed. The overall design is chic and doesn’t take up a lot of space. The setup process is quite simple; you don’t need to do a setup with a CD which is great especially if you are connecting to other mobile devices. Wi-Fi Protected Setup® (WPS) is specifically designed for the easy push ‘N’ connect process. It weighs around 0.22 lbs. with the dimensions 2.64 x 2.17 x 1.34 in. The package comes with an installation guide that makes it further easier to connect and the product itself. You also get a local warranty and free 90-day essential technical support. You can easily play games and stream videos without worrying about the signal drop. It is perfect if you desire to use NETGEAR EX3700 Wi-Fi Range Extender for extending the range to smartphones, gaming consoles or TVs. The Wi-Fi speed can easily be increased up to 750Mbps. The unique yet traditional wall plug design not only enhances the speed and performance but also doesn’t take the entire table for sitting. It is great as an addition to your Wi-Fi if your router doesn’t work well and fails to spread the signals evenly across the required area. This Wi-Fi signal booster strengthens the Wi-Fi signals in real time and delivers it across a larger area with better speed. NETGEAR EX3700 Wi-Fi Range Extender has 1 Ethernet port that you can use to connect a wire device within the same room. Considering the price on this one, we can say it with a surety that it’s an excellent value for the money. You aren’t paying a lot for the mesh Wi-Fi setups and still getting similar results. Those of you who are familiar with Wi-Fi repeaters know that these help you out a great deal. So if you want to try then, NETGEAR EX3700 Wi-Fi Range Extender can be an excellent option. ASUS RP-N12 N300 Wi-Fi Repeater could be the next best alternative to the expensive much slower ASUS RP-N53. This budget-friendly 5GHz supported Wi-Fi extender is fighting for its spot in the best Wi-Fi range extender list. ASUS RP-N12 N300 Wi-Fi Repeater comes with a 3-year warranty and increases the download speed and signal strength. The installation is simple. The product itself is well designed and compact. The android application used for running the system still lacks some significant features and has a poor UI. ASUS RP-N12 N300 Wi-Fi Repeater comes with a warranty card and a quick start guide that helps you set up the device without any difficulties. It has 2 PCB external antennas on board with an audio jack of 3.5mm. You can play music and media with the help of ASUS AiPlayer app that allows unlimited wireless media playback. The WPS button ensures tension free, one-press connectivity and setup so you can relax. It also comes equipped with internet radio, backlight, and controllers for lighting and music. The installation is quite simple and straightforward. You do not have to go through several steps to get this one right. You might feel like the setup is taking too long if that happens close everything down and re-attempt. Just go through the steps provided in the user guide, and you’re good to go. ASUS RP-N12 N300 Wi-Fi Repeater is on the minimalist side; it is compact and lightweight. Its dimensions are 4.5 x 3.1 x 8.5 cm. Overall the appearance and aesthetics of ASUS RP-N12 N300 Wi-Fi Repeater are trendy and up to date. The front has a checkered cross diagonal design with an embossed gloss texture. Right below the ASUS logo, there is a horizontal blue line that continues to light up as the signal strength increases. Meaning the blue will get stronger with fast connection signals. The panel above this blue horizontal line is touch sensitive, and you can use it to give commands such as turning on/off the backlight, 2.4GHz light, system light, and muting/unmuting the audio. On one of the sides, there is an audio jack and 10/100 Ethernet port while the other side has a WPS button, reset micro button and the on/off switch. The bottom isn’t all plastic either; it has a strange frosted piece that works as a backlight. We would still say that it is useless and there’s no point of adding this feature. The control panel can be controlled with the mentioned URL. The overall layout is quite simple and easy to use so nothing complicated there. 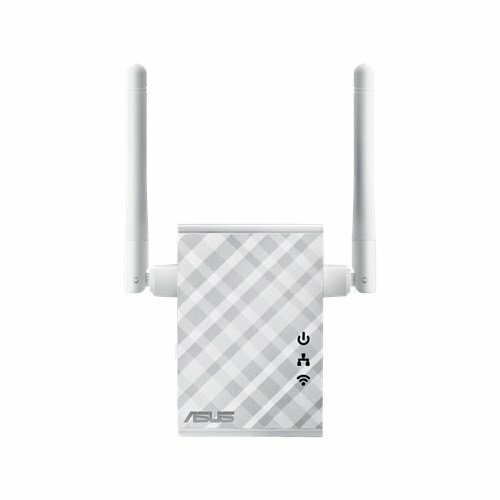 If you are running ASUS RP-N12 N300 Wi-Fi Repeater on mobile phones and tablets, you will notice a frequent difference in download speed and signal strength. On PCs, however, the rate decreases. Overall all operations including gaming, browsing, downloading and streaming were smooth. The Wi-Fi extender doesn’t heat up either, so that is a good sign. We are all familiar with the fact that every apartment, house or building has a dead end where the Wi-Fi signals won’t reach. This is where TP-Link N300 Wi-Fi Range Extender with External Antennas and Compact Design comes in. Easy to operate and setup unit that doesn’t come at a hefty price. External antennas enhance the speed and make a secure connection. You can expand the range just by pushing one button. The only problem with TP-Link N300 Wi-Fi Range Extender is that it doesn’t support 5GHz spectrum. You will suffer from low-performance speed. TP-Link N300 Wi-Fi Range Extender everything is enhanced and according to your requirements. The setup or installation is simple, you get strong extended signals, and the performance improves almost instantly. All thanks to the external antennas that extend the Wi-Fi range, makes it super-fast and more reliable. TP-Link N300 Wi-Fi Range Extender is priced just right so everyone can afford it without worrying a bit. While there are other options like mesh setup but they are way more expensive. This device also has a range extender button, what this button does it is that it immediately expands the coverage. So, if you feel that the coverage isn’t enough, push the button, and you are good to go. TP-Link N300 Wi-Fi Range Extender has an AP mode built into the device that allows it to be an anchor for a better and stronger Wi-Fi receptor. Operating the device is quite easy, plug the device into the wall socket and connect it to the wireless router. Just make sure that the two devices are within range and you won’t face a problem. You can also make a connection with a wired device, but that isn’t necessary for a well-established network. The initial setup doesn’t require much effort, you connect the two wireless devices and then use the administrative interface for setting it up. Per usual step, you create a new username and password that you will later use for extending the wireless signals. You cannot use spaces in your passwords; punctuations are fine though. You would not be able to make much use out of the 5GHz space as TP-Link N300 Wi-Fi Range Extender only works with 2.4GHz. You can insert the plug into the outlet in any position that gives to the liberty of adding another plug into the same outlet. With an overall 9 rating, I would, however, would want the readers to know that you may see lower speeds because of the 5GHzn spectrum. ASUS RP-AC66 is a dual-band repeater that gives you premium quality at a lower price. While it is a little expensive as compared to some devices, the features and speed that it provides efficiently provide some competition to the high-end Wi-Fi extenders. The overall appearance of this device is quite appealing, and ASUS RP-AC66 is considered a good all-rounder. 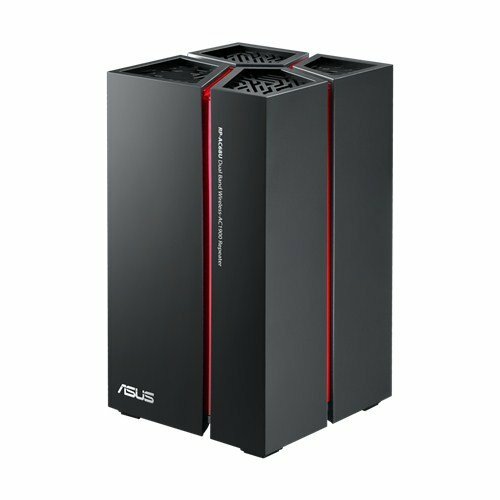 It is a heavy device, considering the size of ASUS RP-AC66 we were expecting more speed from it, so we aren’t exactly sure what the extra space is for. ASUS RP-AC66 is a wireless repeater that works as a Wi-Fi signal booster. Considering that it is set to deliver a speed that is equivalent to the AC1750, it costs quite reasonable. ASUS RP-AC66 is regarded as one of the premium Wi-Fi range extenders available at this price in the market. Although it isn’t the fastest Wi-Fi extender out there, that is why it is priced low considering the features. ASUS RP-AC66 is a big bulky device, and it is 83mm wide and 167mm tall minus the extra space that external antennas take. It does look smart though and sticks to the wall quite nicely. The on/off switch is under the device; the left panel has an Ethernet port while the front has some buttons along with 3 LED lights. One LED shows that the power is running through while the other two lights indicate that the wireless bands are connected correctly. The buttons on the face are for resetting the device and WPS. It also doubles as an AP where the wired E-port gives signal feed. Setup is also quite simple, so nothing to worry about. You can either use WPS to set up the connection or use the web interface to log into the default Wi-Fi. It may take few attempts to make the WPS work, but once the connection is established, it won’t budge. Performance wise we’d give ASUS RP-AC66 an overall A plus because the 5GHz performance was spot on within the range. On average, it gave 96.05Mbps speed. In the long-range test, it proved to be good as well with an average speed of 78.8Mbps. In a close range test at the 2.4GHz speed, we noticed that the device had an average speed of 44.6Mbps. While it maintained a 30.7Mbps speed in the long-range test. Quite honestly these are impressive stats if you are looking into a powerful Wi-Fi booster. When tested against other Wi-Fi range extender, ASUS RP-AC66 wasn’t the fastest or the slowest. Overall with the speed, performance, and price, RP-AC66 is a winner for us. With the launch of Netgear Nighthawk X4S Tri-Band WiFi Mesh Extender, Netgear has brought MU-MIMO (Multi-User Multiple Input, Multiple Output) to the table. The easy to install and setup Nighthawk X4S Tri-Band Wi-Fi Mesh Extender performed beautifully in all tests. The MU-MIMO technology is also a game changer for Netgear. There isn’t a pass-through outlet which makes it difficult for many users to connect the two devices. Plus it is too bulky and makes it almost difficult to ignore the device altogether. AC2200-Nighthawk X4S Tri-Band proves to be an effective tool for filling in dead spots that the Wi-Fi router fails to reach. The overall design and features are top quality, so you don’t have to worry about any of that. Its dimensions are 6.3 x 3.2 x 1.7 in. The reason why AC2200 can achieve maximum speed is that of the dual-band design. At 2.4GHz, AC2200 can run at 450Mbps whereas at 5GHz it can easily reach 1,733Mbps. Besides the super-fast speed, it uses some of the latest technologies that enhance the performance. These include beamforming, so what happens is that instead of sending data via a broad spectrum, the technology sends it directly to the client. Another great feature that has put Netgear in the front is the introduction of MU-MIMO streaming. You can simultaneously transmit data to all the clients instead of putting them in a sequence. You can decide how the device performs; you can either use it as a wired AP or a wireless extender. It also comes with 1GB LAN port and has a three-pronged plug. The major drawback of this device is that it doesn’t have a pass-through outlet. The left panel has an AP switch, WPS button, reset button and on/off switch. The face of the device has LED indicators for WPS, client link, router link and power activity. Green lights indicate excellent connection whereas amber and red light mean good and poor connection respectively. Installation is quite easy, go to the company’s web interface, follow the instructions, and you are good to go. You can also monitor the status and activity online through the web interface. You can control everything from enabling and disabling the bands, renaming SSID, change passwords and even limit the speed. As far as the installation and performance are concerned, you don’t have to worry about it either. Setup is a simple plug in the device into the outlet, place it within range and press WPS. You need to make a strong 5GHz connection; you first need to establish a 2.4GHz band. As compared to other Wi-Fi range extenders on this list, AC2200-Nighthawk X4S stayed ahead of the pack and produced some of the highest scores. Although AC2200-Nighthawk X4S is a direct competitor and a little expensive than TP-Link AC1750 Wi-Fi Range Extender (RE450) but the overall performance and turnout put it at the top of the list. The newer Wi-Fi boosters coming to the market are sleep, small and compact. AC1200-Dual Band Wi-Fi Range Extender is defying all the odds with its large standalone device. Setup is easy to follow, and the design has a modern touch. The 5 one gigabit Ethernet ports along with the dual-band support are amazing. You can also connect USB ports to the 11ac. And printers with 3.0 USB port. The device cannot be mounted on the wall, and it continues to disconnect after the network upgrades firmware. You also get asked continuously to upgrade even if your device is up to date. When we all thought that we’d seen the best of Wi-Fi extenders, AC1200-Dual Band Wi-Fi Range Extender popped up giving us new hopes at comparatively affordable prices. The latest members making their debut in the market are small, compact devices that adhere to the walls and plug right into the wall outlet but isn’t like those. This standalone device takes up some space in your lounge and doesn’t go unnoticed. 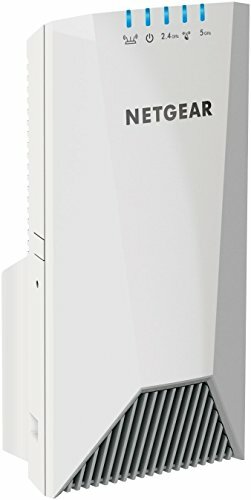 AC1200-Dual Band Wi-Fi Range Extender might have a couple of software hiccups, but overall it is an excellent device that works beautifully and smoothly. The two main things that put AC1200-Dual Band Wi-Fi Range Extender in a winning position are the 3.0 USB port and 5 GB Ethernet ports. This device is without a doubt the most powerful wireless extender that we have on this list, and we are quite satisfied with its performance. This could easily be the winning internet booster that we can count on. Regarding the looks, it is quite similar to Netgear’s Nighthawk. There are only differences that set AC-1200 apart from Nighthawk, the sloping chassis is missing, and AC-1200 EX6200 is smaller in size. We love the black and red unique and modern design that strikes at first look. You can place it horizontally or vertically on the red stand, and the device will work. The hardware specs of EX6200 are that of premium quality and not easily found on similar devices in the market. The dual-core 800MHz processor is a jackpot for starters, and then it is topped with high power 700mW amplifiers. It also comes with two external high gain 5dBi antennas that ensure the strong connection and high speed. Although EX6200 AC-1200 is pricier than the thick wall mounts wireless extenders that are all the rage currently, but EX6200 proves that it is worth the price tag. It is a dual-band Wi-Fi repeater plus it can be used as a bridge for the one GB 5 Ethernet ports. IAC-1200 can also connect to media outlets and printers with a 3.0 USB port. Considering all these features combined with the powerful performance we believe it is priced just right. 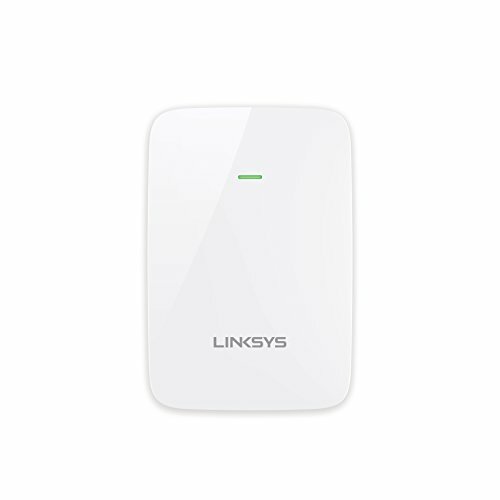 Linksys is known for producing high-quality Wi-Fi Range Extender / Wi-Fi Booster that gives you high-speed performance, strong connection, and hardware quality. RE6350 is certainly no different, and you will find out why. It is easy to use, reliable and outperforms itself. Works beautifully while transferring data and streaming content simultaneously. Unfortunately, Linksys AC1200 Dual-Band Wi-Fi Range Extender / Wi-Fi Booster (RE6350) does not have a LAN port. We all know there are hundreds or thousands of options available in the market and there is nothing really that a company can bring to the table currently that isn’t already a trend. Linksys AC1200 Dual-Band (RE6350) isn’t here to fight other competitors; it is a premium Wi-Fi range extender in its range. Talking about the performance, AC1200 Dual-Band (RE6350) doesn’t lack anything. It gives you an average data transfer speed that easily crosses N300 plus AC867Mbps. For optimal performance, you can connect the devices directly and don’t have a single dead spot all thanks to the beamforming technology. With the help of Crossband Technology, you can transmit information simultaneously on both bands without wasting time. So, you can obtain the information from one band and then send it from the other. This ensures that there aren’t a lot of dropped data packets, stronger signals and faster transfer throughout the area. AC1200 Dual-Band (RE6350) has also introduced a unique feature called the Spot Finder. This technology makes the Wi-Fi range extender setup more easy and mobile-guided. You don’t have to manually update the device as it automatically receives firmware updates from the server. Constant updates allow you keep the device secure and well-functioning. Because of the several features and technologies that Linksys uses, we get to witness strong signals and high performance without any interference. Linksys AC1200 Dual-Band (RE6350) works well with all wireless routers so making a connection isn’t that difficult. If you still aren’t that sure about whether this is the right device or not then let’s look at the positives once again. It is a dual-band 2.4GHz and 5GHz) Wi-Fi signal booster that works without any disturbance or interruption no matter where you are. The mobile guided easily to use range expander installation will make your life easier and provide signals throughout the house. 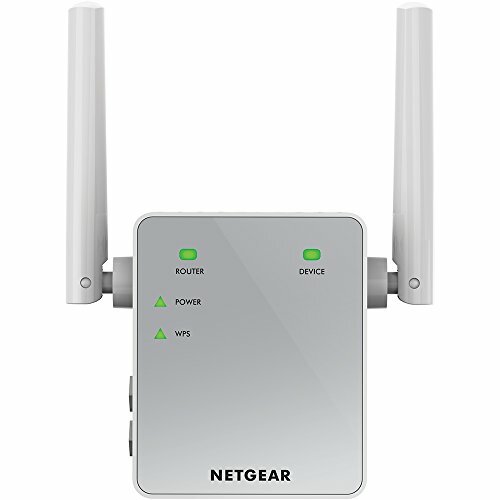 It works well with all wireless routers; this means you can connect the service provider’s router with this device as well. Because of the CrossBand technology you don’t have to worry about wasting your time as you can utilize both bands simultaneously and still have uninterrupted streaming with high-speed information transfer. After looking at all these specs, we genuinely believe that AC1200 Dual-Band (RE6350) is an excellent purchase. Netgear came out with the fastest, and most feature-packed Wi-Fi signal booster yet. Yes, AC1900-Nighthawk Wi-Fi Range Extender is the best that you can get with unbelievably high speed. Netgear Nighthawk EX7000 has the AC1900 world-leading performance with easy installation and 5 Ethernet ports. You also get a 3.0 USB port for connecting printers and sharing files. Considering the price, the 1-year warranty doesn’t seem enough, and the company forces you to take its online services. 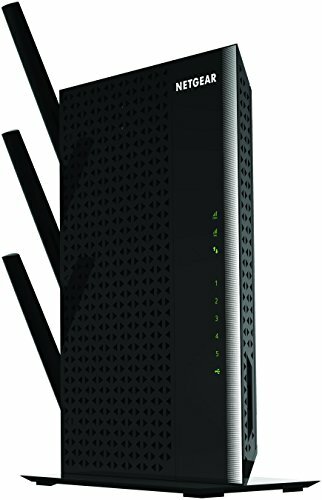 We will give it to right away, Netgear AC1900-Nighthawk Wi-Fi Range Extender is the top performing Wi-Fi booster that you will see on this list. It has an average speed of 600Mbps and 1,300Mbps at 2.4GHz and 5 GHz respectively. This is the ultimate Wi-Fi signal booster that you’ll need for a small business or your home. Since we have that out of the way, let’s go a little deeper into the details. Just like all the expensive wireless repeaters on the market, this one is a big device that looks like a router with several external antennas and a separate power outlet. It is different from the ZyXEL WRE2205 which is a one plug unit. So naturally, you will need some extra space to accommodate the large device however you can vertically mount the device to the wall. This is a plastic device that weighs around 635g, which is quite unusual for considering the price. The device looks tough, but it isn’t, be careful as it won’t be able to take the beating. The design looks modern with the black and grey gloss finish, but quite honestly it isn’t something you’d like to put on display. The thing that matters the most is its performance, and luckily Netgear AC1900-Nighthawk tops the charts in that category. However getting to these stats isn’t easy, you need the deadly combination of attaching wireless extender with Netgear Nighthawk AC1900 router. So make the upgrade before cursing us. The 5 Ethernet ports allow you to connect the entire building to the wireless repeater for super-fast and unbreakable connectivity. You wouldn’t have to worry about having separate Wi-Fi for all systems. This is why we recommend this device since it is difficult to achieve high-speed internet on client devices, using an internet booster gives you ultra-fast speed. If you think that the Ethernet ports won’t be useful for you, then this device might be a little extra for you however it will still give you far better results as compared to other devices. Along with the Ethernet ports, there is a WPS button, reset micro pin, power connection and on/off switch. At the front, you can find a 3.0 USB port that you can use for attaching printers and sharing files. Something we didn’t quite like was the fact that it’s an expensive wireless repeater, so the company should’ve added 2 USB ports. However, it isn’t something that we can’t live without. TP-Link has been introducing top quality Wi-Fi extenders, and quite honestly they’re known for their wireless repeaters. They yet again came out with the amazing RE650 AC2600 dual band extender. The best performance that you can see out there, 800Mbps and 1,733Mbps at 2.4GHz and 5GHz respectively. 4 x 4 MU-MIMO technology for reliable, fast and unbreakable connection. The device is made out of plastic and doesn’t look sturdy enough. It may not be able to take the beating. Not aesthetically appealing. This is a powerful device that makes sure that signals reach all the corners, with 14,000 square feet cover area you don’t miss a single spot. This is probably because of the four external antennas provided by the company. If you set the device even at the farthest end of the building, the device will continue to establish a strong connection all thanks to the WPS button. Everything, as a user, that you need to know is at the face of this device. You can understand the indicators whether you are connected to the 2.4GHz band or 5GHz. At the top, there is an intelligent signal light indicator that tells you about the most convenient place in the entire building. Just know that a red light means that you are too far away from the router and blue means you are in the right range. This device has the capability of reaching an average speed of 800Mbps and 1,733Mbps at 2.4GHz and 5GHz respectively. You can expect a reliable and normal connection throughout the house even if everyone is streaming, downloading or sharing simultaneously. We ask you to do a test yourself, play Netflix videos in 4K and test drive the speed with multiplayer gaming. The results will be unbelievable. Do you know why you can do all the simultaneously without seeing a glitch? It is because of the MU-MIMO technology that TP-Link AC2600 RE650 Dual Band Wi-Fi Range Extender uses. You can use four fully functional devices with this and expect a 4x result. As a bonus, we also get an Ethernet port, but it wasn’t that useful for us since the wireless services were already providing a good enough speed. However, if you want a more reliable connection for your TV or gaming console, then you can connect it directly. The Ethernet port also works as an AP for your home that supports 4×4 MU-MIMO, how cool is that? This can turn out to be excellent for small enterprises and business. You can download the TP-Link Tether for iOS and Android free of cost. You can easily monitor the activity, manage settings and so much more on the go. TP-Link AC2600 RE650 Dual Band Wi-Fi Range Extender, in our opinion, is the leading Wi-Fi repeater that might not look as sturdy but the performance chart allows us to overlook that fact. As we all know TP-Link doesn’t shy away from producing high-quality Wi-Fi range extenders at affordable prices. TP-Link AC1900 Dual Band Wi-Fi Range Extender (RE500) with MU-MIMO gives you the best of both worlds. TP-Link AC1900 Dual Band Wi-Fi Range Extender (RE500) is an excellent contender for an affordable yet excellent Wi-Fi signal booster. It gives you the top of the line features at a much reasonable price. If you are not knowledgeable about wireless setups and how things work around that area, then you might face a lot of difficulties setting it up. It still is a handful when it comes to the settings so be careful and gain some knowledge before jumping into the dynamics of it. As this is the last Wi-Fi booster on our list, we wanted to give you a much affordable option that gives you value for the money. We know there are some high-end wireless extenders on this list with some of the most amazing features, but TP-Link AC1900 Dual Band Wi-Fi Range Extender (RE500) still gives them competition and a run for their money. This wireless repeater extends the signals to the areas that usually are a dead spot so you wouldn’t have to stick your arm out to get a signal. The Wave 2 Wi-Fi technology powers the device, it also includes three stream technology and TurboQAM. As a result, you get uninterrupted high-speed internet throughout the area. As for the three stream technology, it ensures that have a fast, reliable connection with the help of the new streaming network provided by the device. TurboQAM, on the other hand, is responsible for increasing the transferring data power. We can say it with a guarantee that you wouldn’t have to buffer for 4K videos, you would be able to live to stream them. You can also play video games without the fear of network failure for dead spaces. The intelligent processor set inside the device ensures that the signals are received thoroughly and the projected in a reliable manner decreasing the chances of a network failure. Luckily these devices come equipped with the MU-MIMO technology that gives you the liberty of connecting multiple devices simultaneously without a fault. Furthermore, it has four antennas that help in establishing a strong connection and increasing the range of the signals, especially to the dead zones. 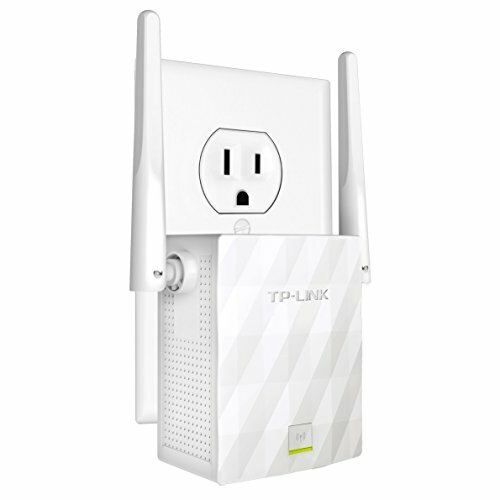 Another cool feature that TP-Link AC1900 Dual Band Wi-Fi Range Extender offers is the beamforming technology. This means that the wireless signals from the router and the Wi-Fi extender are sent in the same direction. You also get an Ethernet port that you can use for establishing a stronger connection directly to another device. The device also has 2 LED indicators at the front that helps you determine the best spot for setting up the Wi-Fi signal booster. Red light glows when the signals are weak, and it turns into a blue when the signals get stronger. The device is compact and easily portable, so you can take it anywhere as you please. How to boost Wi-Fi signal? Browsing slowly like a turtle in the swamps, unable to stream, dropped signals and dead zones are some of the most cringing things that we witness each day if we aren’t ready to fight it. Going online is somewhat of a necessity, and one of these problems is getting on your nerves which is probably why you are on this channel. It may sound like a handful, but quite honestly it is a piece of cake. You only need to follow a couple of steps, and you are good to go. These steps will help you optimize your signal strength. Now we know that the signals can go to a limited space however it doesn’t mean that you can’t boost it. Several routers come with an automatic system that updates the firmware, however, some need to be upgraded manually. Sometimes when the Wi-Fi signals aren’t good enough, all you need is a firmware upgrade. It can be simple or difficult depending on the device and its manufacturer. Some devices have the option of the upgrade in the web interface while others need to be done manually. If you recognize how these things work then go ahead otherwise call an expert. This is a crucial step, most of us don’t even know about this but placing the router in the right spot can change your browsing game. Think of it logically, setting the router in a cupboard or washroom vs. placing it in the window. Where do you think that the device would be able to get more signals? Exactly, you need the right spot. However not all routers need that, you can place a wired network anywhere you feel like, but a wireless router needs open space. So, place smartly. Open the web interface for your network and monitor the frequency there to make sure that you are getting optimum performance. If your router has a dual-band technology, then you will get better output on 5GHz as compared to the commonly used 2.4GHz. If your router supports 5GHz, then make it the first speed, so you don’t have any interference. Most of the routers nowadays come with the option of controlling the amount of bandwidth certain apps can use. This can be difficult especially if someone is downloading a heavy file and you are on a video call. The quality of your video call will automatically decrease and provide the downloader with heavy speed. Optimize and prioritize, so you know where the speed is going. If none of those mentioned above tips work, then it is time for a hardware upgrade. You can’t expect the new age results with obsolete hardware now, can you? We usually believe that if a networking device isn’t broken, it doesn’t need to be changed. However, that is incorrect the technology keeps on improving each day, so we need to change the hardware as well. Make sure that your router and the devices that you are using internet on are compatible. Many routers that we see nowadays come with internal antennas, adding external antennas make the signals stronger and spread them to the dead zones as well. The omnidirectional antennas are a great start as they send signals to all directions so you wouldn’t have to worry. Make sure that the antennas you are buying have high-gain written over it so you could make a difference. You can also use the directional antennas so you can direct the signals in dead signal areas. The wireless extenders are what we have all been talking about this entire time. This comes as the last resort as it is an extension and you need to spend some money on it. However, choosing the right Wi-Fi signal booster that fulfills all your requirements is essential. All routers can only send signals to a specific range, the wireless repeater, however, extends the range and enhances the speed as well. These aren’t much different from the traditional routers, and they extend the signal range without decreasing the speed or strength. We have offered you with a complete list of best Wi-Fi boosters that you can choose from. These range from the high-end top of the line hardware/software wireless extenders to reasonable Wi-Fi repeaters that make your life easy. The choice is yours, look at the specifications carefully and choose wisely. Internet boosters make your life easy and allow you to stay online even in the dead spots. This was the complete guide that we designed specifically for our readers. You can read through it carefully and then choose amongst the provided options. Don’t forget to share your favorites in the comment section below. Is there something you’d like for us to give a review on? Let us know, and we will do that.